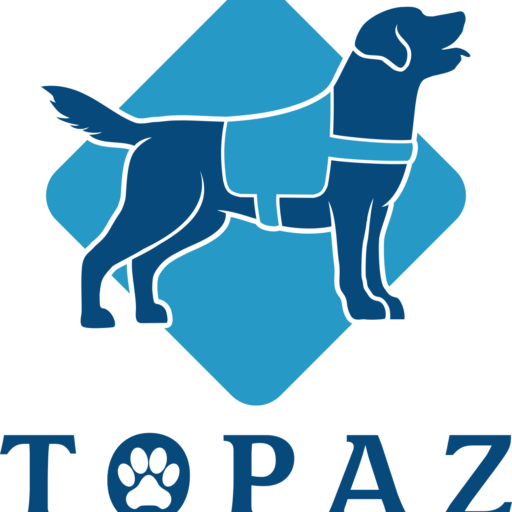 At Topaz Canine Services, we not only TRAIN but we EDUCATE and ENTERTAIN! By offering demonstrations to groups, schools and businesses, we are able to spread the word about different types of Service Dogs and their jobs, Training, Laws and Etiquette. We tailor-make our visit to your specific needs and we love to address all ages from children to seniors! Service Dog Demonstrations are a fantastic way to teach our children how to respect individuals with a disability and instruct them on how to interact when they encounter working dog teams in public. They are also an entertaining way for businesses to help their employees learn about the laws regarding assistance dogs and how to accommodate customers with disabilities. What can you expect when you request a Service Dog Demonstration? An informative presentation designed to educate your audience about Service Dogs, their skills, etiquette, applicable laws and more PLUS a live demonstration with service dogs performing various tasks. Tell us your needs and we’ll design our program to fit your audience! We also offer Therapy Dog Demonstrations and Performance Dog Demonstrations. What can you expect when you request a Therapy Dog Demonstration? An informative presentation designed to learn about the benefits Therapy Dogs provide to people of all ages in the facilities they visit PLUS a meet and greet with therapy dogs. We promise, you won’t leave this demonstration without a renewed respect for the power of doggy love! Studies have shown spending time with a loving pet helps reduce stress, blood pressure and boost mood-enhancing serotonin in the brain. Our therapy dogs demonstrate that to us on a daily basis and we’d love to share “the love” with you and your group. This demonstration is perfect for nursing homes, hospitals and senior centers, so let’s set a date soon. What can you expect when you request a Performance Dog Demonstration? Oohs & aahs PLUS smiles all around as our performance dog team put on skits and perform stunts that will surely amaze. After the show, attend a meet and greet with our four-legged performers for photos and “paw-o-graphs.” This show is great for schools, summer camps and senior citizen groups! This program is extremely popular so book your demonstration with us today!